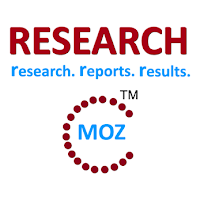 ALBANY, NY, JUNE 2015 -- ResearchMoz.us includes new market research report " Eosinophilic Esophagitis - Pipeline Review, H1 2015: Global Market Size, Shares, Growth, Analysis, Summary, Trends and Forecast" to its huge collection of research reports. This report provides comprehensive information on the therapeutic development for Eosinophilic Esophagitis, complete with comparative analysis at various stages, therapeutics assessment by drug target, mechanism of action (MoA), route of administration (RoA) and molecule type, along with latest updates, and featured news and press releases. It also reviews key players involved in the therapeutic development for Eosinophilic Esophagitis and special features on late-stage and discontinued projects. The report features investigational drugs from across globe covering over 20 therapy areas and nearly 3,000 indications. The report is built using data and information sourced from Global Markets Directs proprietary databases, Company/University websites, SEC filings, investor presentations and featured press releases from company/university sites and industry-specific third party sources, put together by Global Markets Directs team. Drug profiles/records featured in the report undergoes periodic updation following a stringent set of processes that ensures that all the profiles are updated with the latest set of information. The Chinese Pharmaceutical market is currently the third greatest pharma market globally, after the US and Japan, and in 2011 was worth $x. It is forecast to increase dramatically to $x by 2015 and increase its dominance as a leading player in Asia. As the current third market leader it is predicted that the Chinese pharma market will be the main competitor of the US by 2020. This is a comprehensive account of the market size, segmentation, key players, SWOT analysis, influential technologies, and business and economic environments. The report is supported by 261 tables & figures over 206 pages.